Volunteers from the Huddersfield branch of the Ahmadiyya Muslim Youth Association (AMYA) have recently visited Children’s ward at Huddersfield, Calderdale Hospital, Kirkwood Hospice, Colne Valley Residential Home care, Southfield Court Care Home, Paddock lodge and Paddock Jubilee centre. 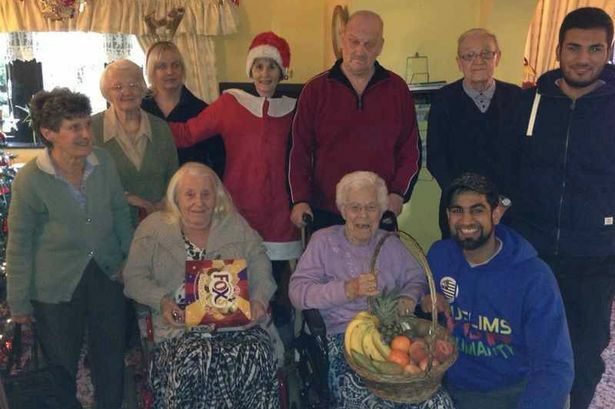 A Huddersfield youth charity has been spreading some seasonal joy over the past week by visiting homes for the elderly, children’s hospital wards and homeless centres. 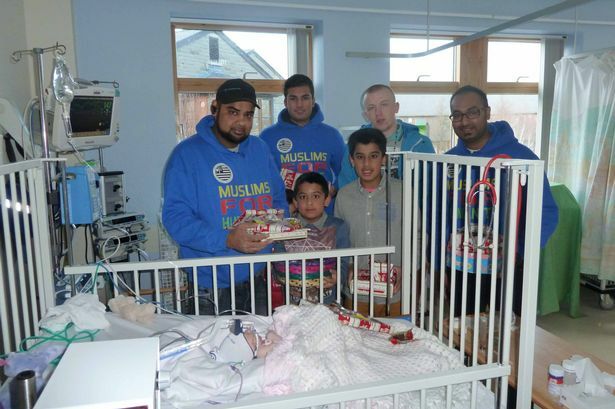 Volunteers from the Huddersfield branch of the Ahmadiyya Muslim Youth Association (AMYA) have recently visited the children’s ward at Huddersfield Royal Infirmary, Calderdale Royal Hospital, Halifax; Kirkwood Hospice, Dalton; Colne Valley Residential Home, Golcar; Southfield Court Care Home, Almondbury; Paddock Lodge Care Home; and Paddock Jubilee Centre community church. Volunteers delivered gifts to sick children, delivered fruit, chocolates and spent time with the elderly and helped serve food to homeless people. The initiative is part of the AMYA’s national ‘Muslims for Humanity’ campaign in which its volunteers are aiming to bring a smile to the vulnerable and sick over the winter. The charity also has in place an emergency relief team to help those impacted by the challenging weather conditions.